It's a lot of fun to sort through all the new products I use every month, and choose the best to share with you guys. Now I'm back with my January 2015 favourites and this time it's make-up, hair care, skin care and a cologne. 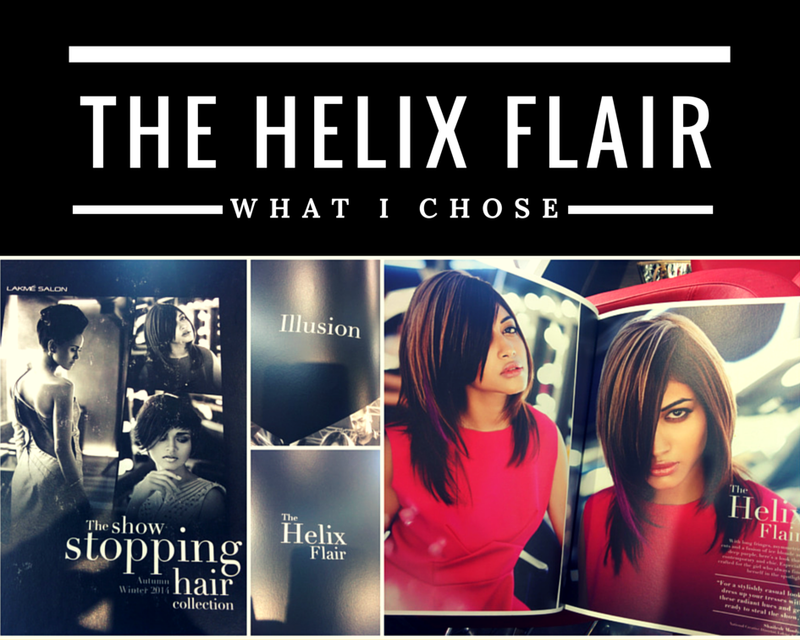 Here's the video for you to see them all with my reviews on them! I am going to come back really soon with my February 2015 favourites, so stay tuned! Subscribe to my Youtube channel for all the updates! 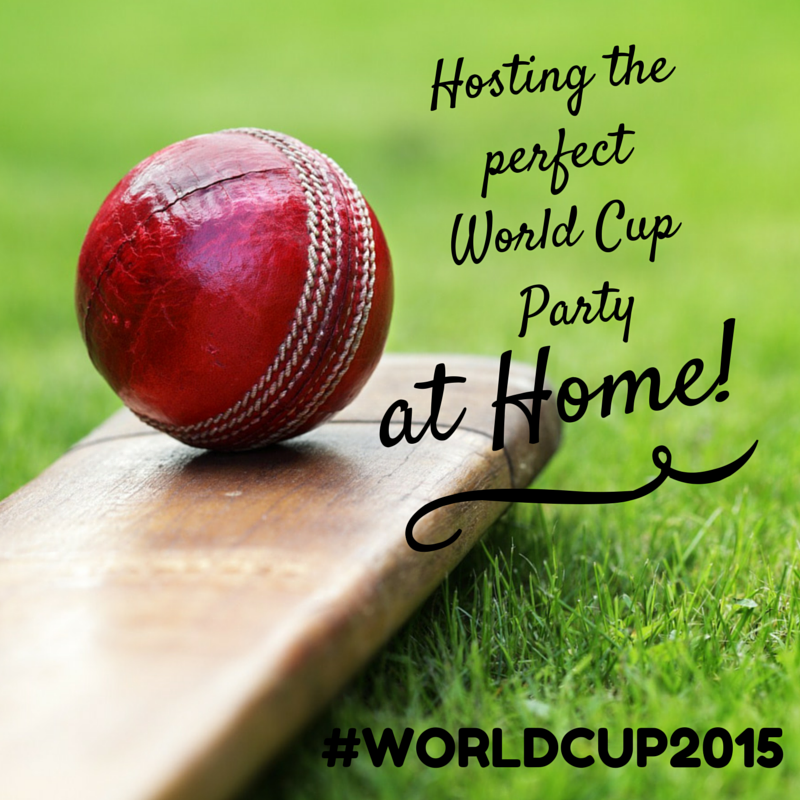 India is a cricket crazy country and World Cup 2015 is here! Indians reading this I know I don't need to tell you that, but you need to go on reading this post cause most of you do not know what it takes to throw a good World Cup party at home. Trust me, I am talking out of experience. There ae very few parties that I have attended that have been nicely planned. Very basic things get messed up is what I have seen, so here are some really simple and thoughtful tips that will help you throw some really good parties this World Cup! Since the World Cup this time is happening in Australia, the match start timings are ranging anywhere from IST 3:30 in the morning to 12 in the afternoon. The most ideal here would be a lunch party as it would be simplest to manage. Also weekends would be easier. So check the schedule and plan a party on such a day that everything falls together and so does a match between 2 countries that everyone will enjoy! Knowing which area you are going throw the party will make a lot of planning very easy. So decide whether its going to be in front of the TV or the garden or the patio. This will help you understand the number of people you can invite, decorations, what kind of food arrangements, seating arrangements and a lot more. Once you have decided the timing and area, you will know what scale you can have the party on and then will need to take a call on the budget so that accordingly you can start to factor in on the costs. A little alteration here and there is ok but there should always be a general idea in your mind of your spending. You can also work the other way around and plan the budget first and then the location and accordingly other things. It depends on the kind of party you have in mind. Some people do not have any budget in mind and are game to spend whatever it takes. There are various ways these days to invite people for a party. You can call, you can email, you can whatsapp and you can also create an event on facebook! Make sure to send out directions to your house too incase a lot of people don't know your place. You do not want everybody calling you on the day of the party while you are busy with preparations. Thankfully when it comes to cricket, everyone will be mostly supporting India, and so you can decorate with balloons and decorations in the country flag colour or the team jersey colour. Get jerseys for everyone if you want. You could also customize the jerseys with everyone's names and favourite number or birth date. You can keep whistles that everyone might wanna blow, pom poms or posters that everyone might wanna wave on a 4 or a 6. If indoors and a small group, make sure there is enough place for everyone as you don't want to be falling over each other or dropping things on one another or looking to find yourself a seat. Get the extra chairs inside, cushions, carpets, mattresses and tables to seat people and keep all your drinks and food handy. If outside then you can spread the seating over a larger area or even make it a theatre kind of seating. Make sure you don't keep things around that people can trip on. Keep the washrooms clean and keep checking on them so that no one is at inconvenience as most people will be rushing in and out not wanting to miss anything. Make arrangements for people to stay back in case they have a little too much to drink and the excitement gets to them. If there are children who may not want to watch the game, make sure to set up a play area for them or they will be interrupting your fun. Keep your dressing simple as well as request your guests to keep their dressing simple and comfortable which will allow you/them to sit up on the couch or down on the floor without thinking twice. 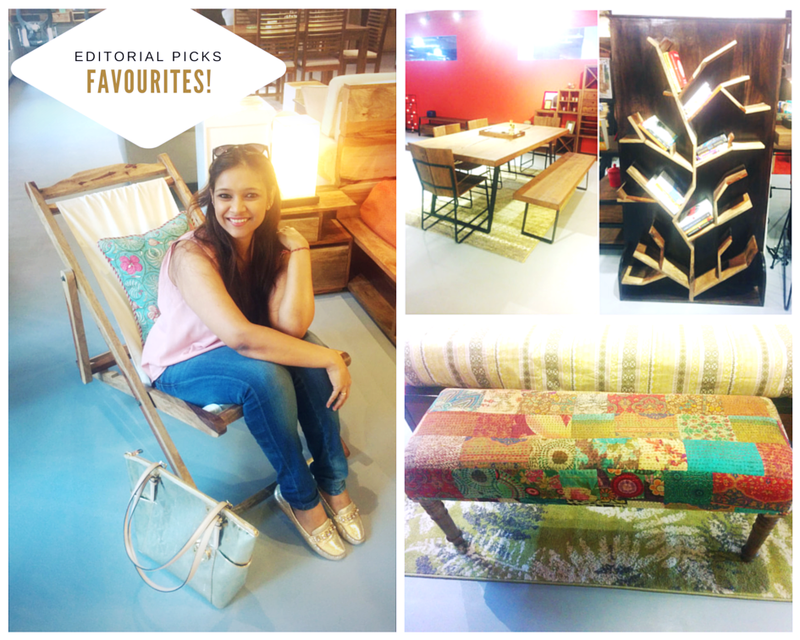 Home Decor @ Studio Pepperfry - Experience it before you buy it! When I started this blog, I'd never thought that I would be sharing posts on home decor with my readers in a few years to come. But as I moved ahead in life, came marriage and a home which was all mine, and there surfaced my interest in home decor from where there was no looking back. I am constantly on the lookout for unique pieces to do up my place. It means going to stores, visiting flea markets and buying online. The pleasure and satisfaction that it gives me when people walk into my house and appreciate the effort Prateek and me put in, is worth all the effort. Innovation is the key to survive in this competitive world. Especially in a country like India, where similar ideas are turned into businesses by a million people and only a few survive the rut, why because they dared to be different! It means investment of innovative ideas, time and money to a whole new level, even though less effort and money can give you results. 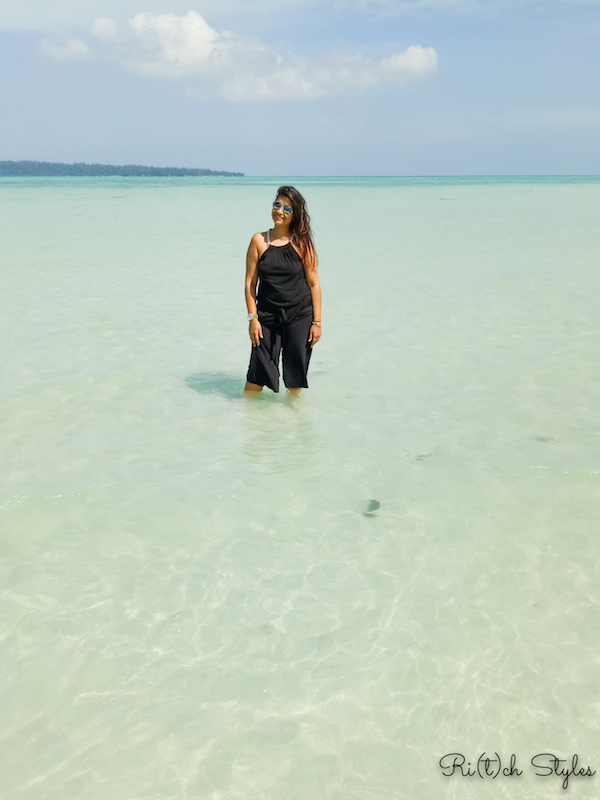 The effort is put in because one is looking at long run survival rather than making a quick buck.When I look at the various online businesses that have sprung up in India in the last few years, most of them look the same to me. Sometimes due to the similarity, I even tend to mix names up. But those few that stand out are always on top of mind. One such online business that has stolen my heart recently is Pepperfry.com. Till a few months ago, it was one of the few good furniture and home decor marketplaces online, but come December 2014 it became my go-to site as it introduced a concept that no one else had in this country. 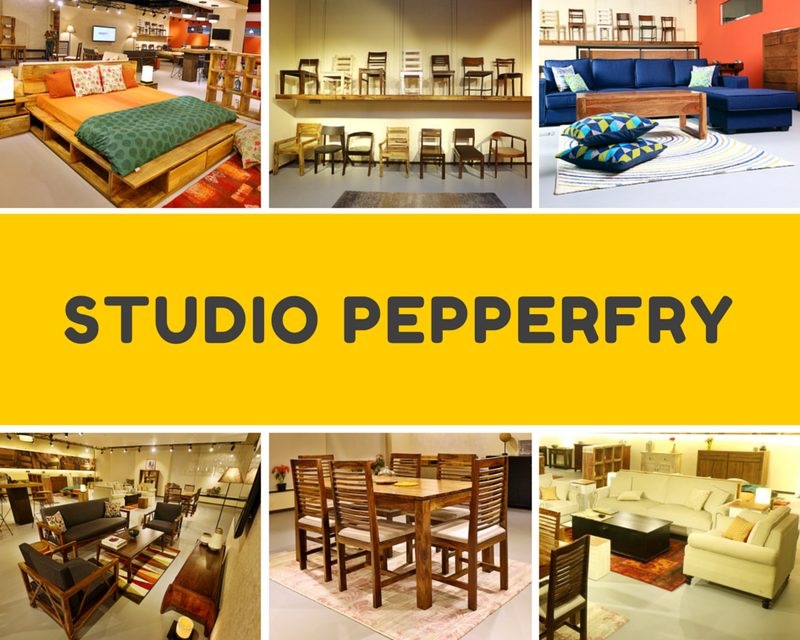 It launched "Studio Pepperfry” - a one of its kind concept store which is basically an experience studio for you to check out a curated range of furniture from the online portfolio of Pepperfry as well as get design consultancy done for your house. This concept totally stole my heart as it introduces Indian consumers to a whole new dimension of online buying. What impressed me about the studio is that you will find no sales counter there, as the store is just to experience the cutting edge design, various types of furniture with different wood finishes and get an idea of the overall quality of the furniture from Pepperfry. Having a no-sales-point shows that despite bearing overheads, the brand is not looking at immediate offline sales but sticking to its model of online sales which is its main business. I visited the studio at Kanjurmarg, Mumbai and loved how tastefully it had been set-up. Here are some of my favourite pieces that I never really noticed online! There is more good news for you guys from Pepperfry. They have recently launched a contest called Design Democracy, which is based on the prinicple of 'Furniture from the people, by the people for the people'. It is again a first-of-its-kind initiative and all interested to participate can visit this page on the website - www.pepperfry.com/designdemocracy.html and submit their prototype designs. Check-out Pepperfry’s official Facebook and twitter page & www.pepperfry.com for more details. The winning designs will be brought to life by Pepperfry’s which will then go up for sale on the website. The competition ends on 28th February 2015 so hurry! Raina says - As a couple,one of us is a jaw full of sweet teeth and the other is a savory kinda guy. A very sweet and salt combination makes us enjoy our meals to another level. Our favorite dessert off late is 'Raspberry Delice' at Yauatcha . The dessert menu there is a clear winner over the rest of the sections of the menu, and this one is the pick from the pack. It's high on chocolate and raspberry, and does super justice to the texture of the mouse. All this and the way it looks all pretty in red is totally Valentine!! The hazelnut brownie is a standout component. We also love the macaroon there, and rate it way above most hyped places for macaroon. 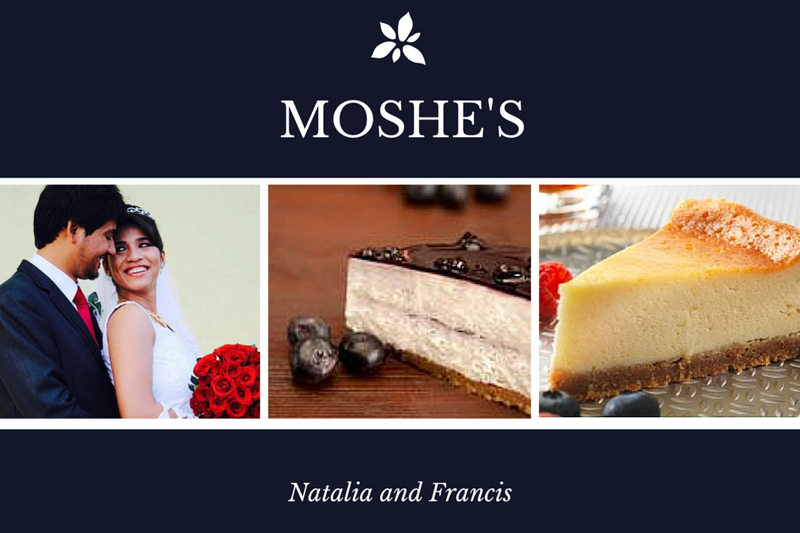 Natalia says - It's pretty recent that I developed a liking for cheesecakes and it may have got passed on from Francis. So whenever it's a desert date or craving for soul food, it's got to be Moshe's, Bandra Hill road . The ambience offers just the solace we look for. While I love the baked Philadelphia cheesecake, Francis has been a blueberry cheesecake fan for all his life. The creamy texture and the tangy tingering flavour of my baked favorite is totally relishing. The city lights peeping through the glass panes is just romantic and comforting. A must try for a coffee date. 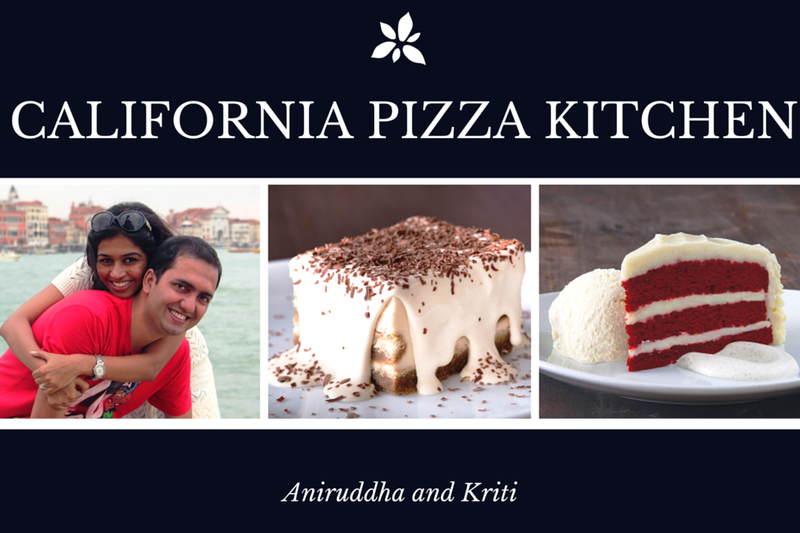 Aniruddha says - Tiramisu at CPK happens to be right on top when it comes to desserts. We simply love how they present it. It’s like a nice huge brick of awesomeness with kahlua adding taste to every bite - simply heavenly! Our next favourite is the Red Velvet cake – we love the frosting done with hand-whipped vanilla bean cream cheese. 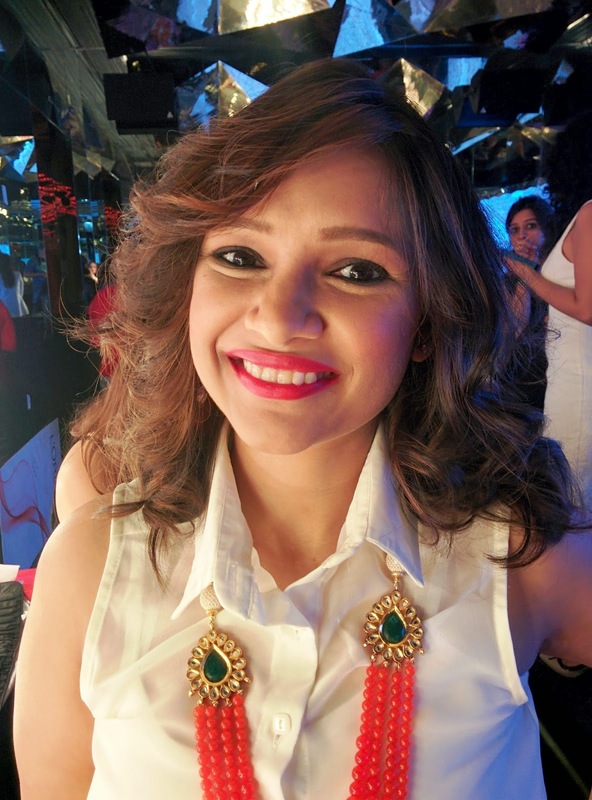 Prerna says - We are two different sides of a coin that co-exist and I guess that's what works for us. 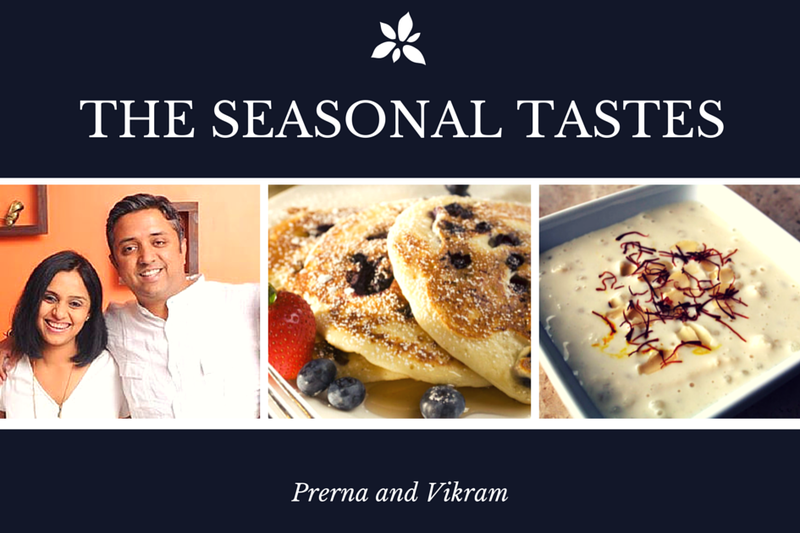 One place where we both are happy souls is 'The Seasonal Tastes' at Westin Garden City. 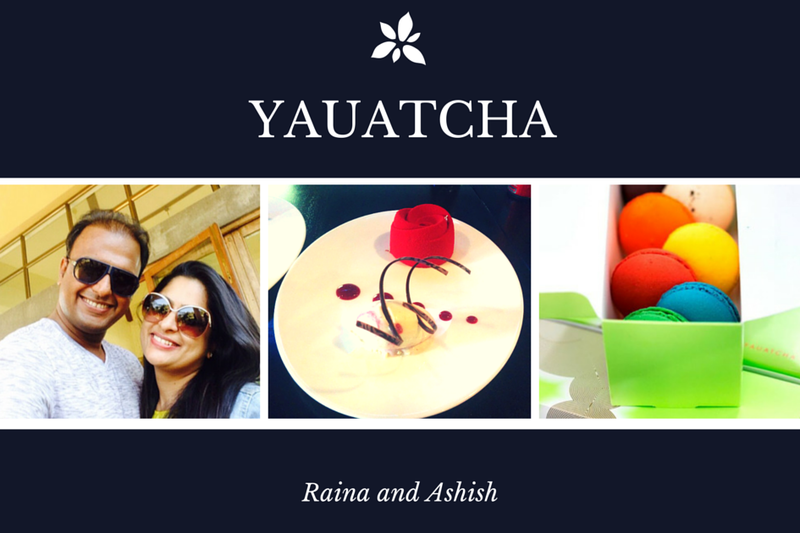 Their Sunday brunch is something we look forward to for their delicious dessert spread. While I like their waffle and sizzling brownie, Vikram is more of an Indian sweet fanatic and craves for their payasam and rasgullas. 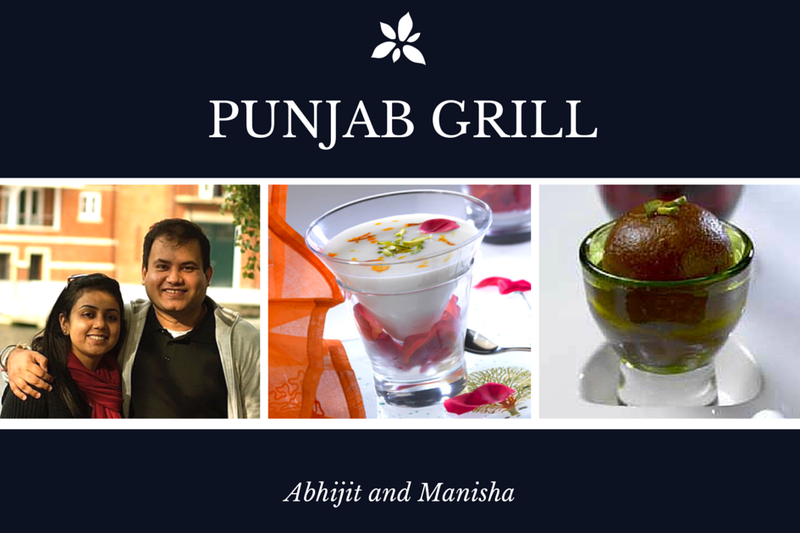 Abhijit says - We love Punjab Grill's take on the traditional phirni - it's perfectly balanced as far as sweetness goes and you get surprised by the little bits of coconut malai in the dessert which makes it yummilicious. The other surprise is the gulab jamun at with Nutella inside and that makes it all the more different and special than anywhere else. 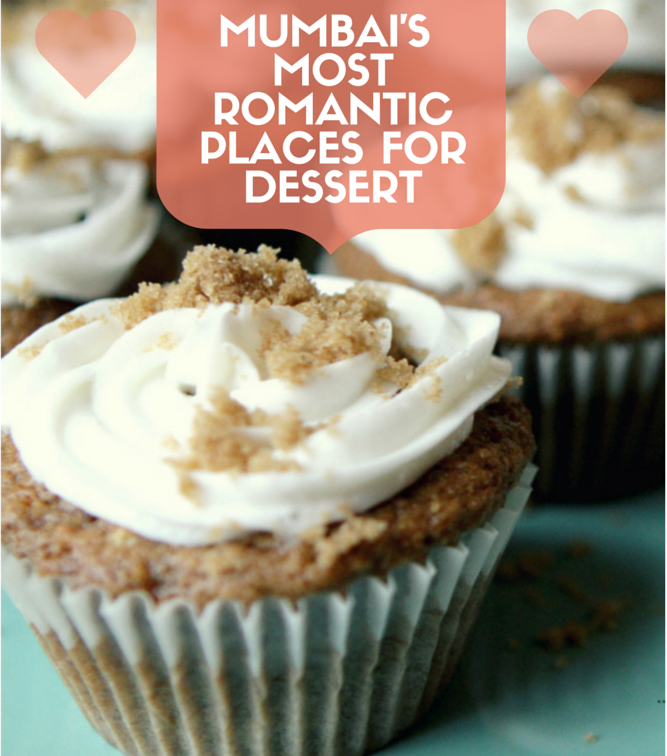 So other than heading for a night out or to the ice-cream parlours in Mumbai, these romantic foodies also love heading to these fantastic places for a sweet time. Are any of these your favourites? I would love to know in the comments below :) If you haven't tried them then please do, cause I can vouch for these mouth-watering recommendations! 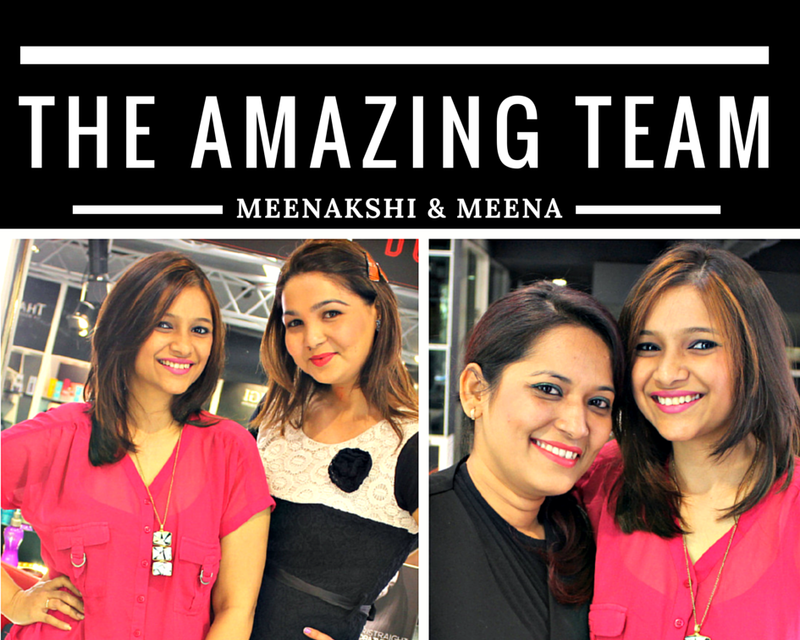 In my last post which you can read here, you saw the stunning makeover I went through at the Lakme Absolute Salon. I usually don't experiment too much with hairstyling but my new makeover makes it absolutely simple for me to style my hair in numerous ways. Here are 2 styles that I have tried and coveted and am going to try again! This is a really simple look. Just curl your hair and then scrunch them for this messy yet glamourous curls look perfect for any party you want to head to! 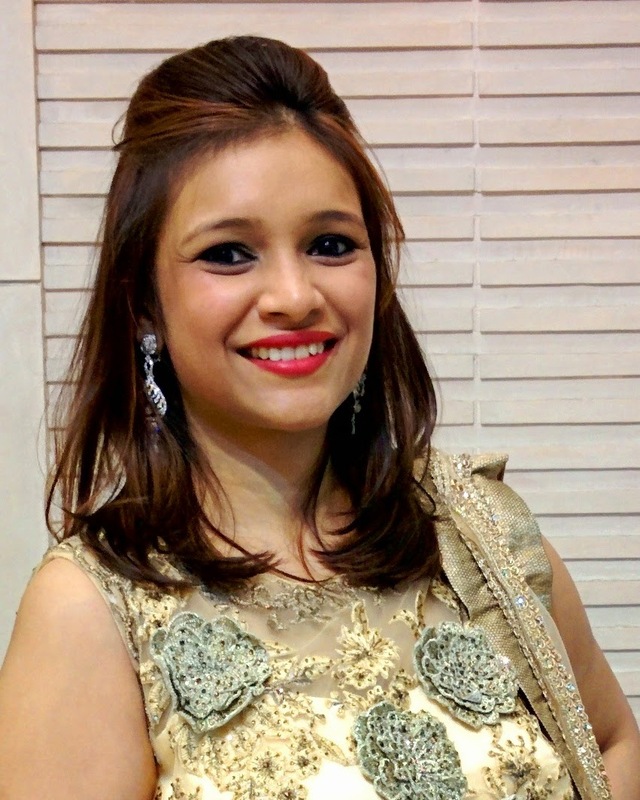 A pouf is the perfect hair do for indo-western outfits. Again very simple to style. Pair it with in-curled hair and you are ready to rock any wedding you are heading to! What is life if you don't experiment? I am not one of those who can do the same things day in and day out. I constantly need change atleast as far as my hair is concerned. Just like I shop for new clothes, I go in for a new haircolour every few months(have been colouring my hair since I was 16) and a haircut too once in a while. However due to my pregnancy and then getting busy with baby, these things went out of the window for a while and my hair grew really long and all the existing colour was washed out. As soon as I got the time, I went and got myself a new hair colour in December. However, because of two weddings in the family I didn't go for a new haircut as I needed the long hair for the hairstyles I was planning, but as soon as I got back, you have to see what I did! 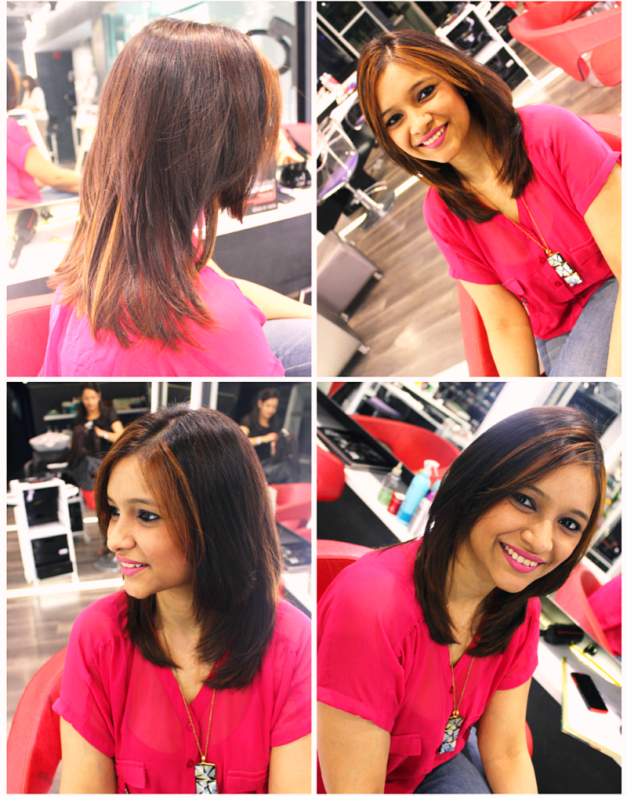 It's all documented for you - a stunning makeover that included a cut and colour, at the Lakme Absolute Salon in Bandra! Can you see how short I went?? Well that wasn't what I had planned. 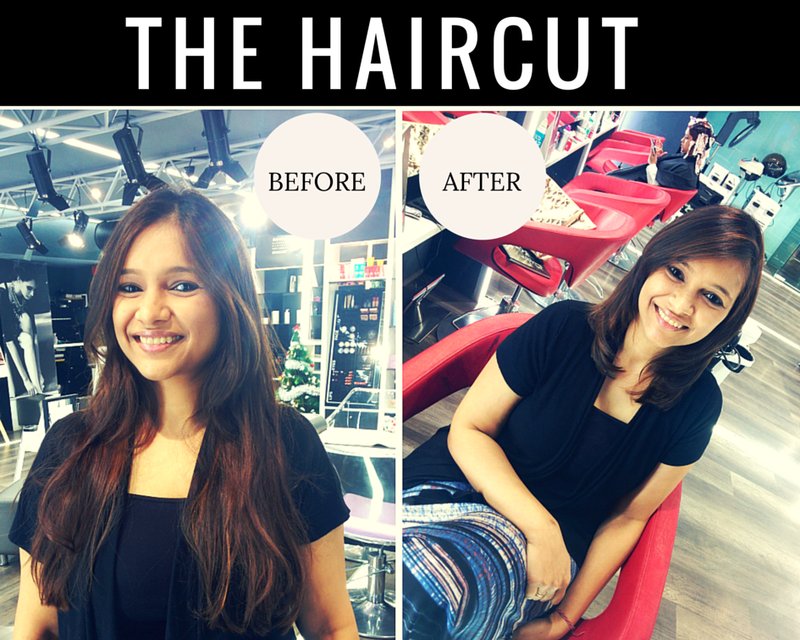 Initially I had decided to just go for a trim and layer the haircut but Meenakshi kept trying to convince me to go shorter which I agreed to but on the condition that she wouldn't show me how much she was chopping off. The final result you can see was a nice structured cut which gave me volume but yet was low maintainence. It was much much shorter than I thought she was going to go but nevertheless I loved the haircut! Reminded me of my earlier days where I would not think twice before chopping my hair off while my mom scowled. After all it's hair, it's all going to grow back ;-) The cut brought out my existing colour so beautifully which you can see below. This haircut over time I have realized is so much more easier to handle with a baby and shorter than what Aryaa can easily tug on. Also the post pregnancy hair loss is minimal as shorter hair can do much better with the same amount of nutrition. My earlier overall highlights were an alternate application of two shades - gold with copper tints and dark blonde. Meenakshi along with another expert Meena used 3 colours to give me my new look. 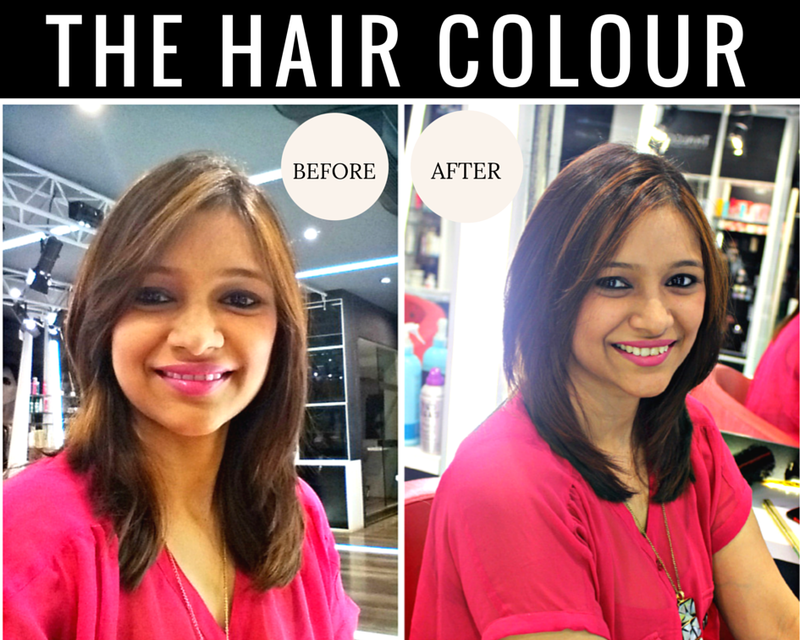 She used the Igora Royal range for the highlights from Schwarzkopf. The application consisted of one section of copper (L-77) and then 2 sections of copper + gold blonde (L-57) for the auburn effect. 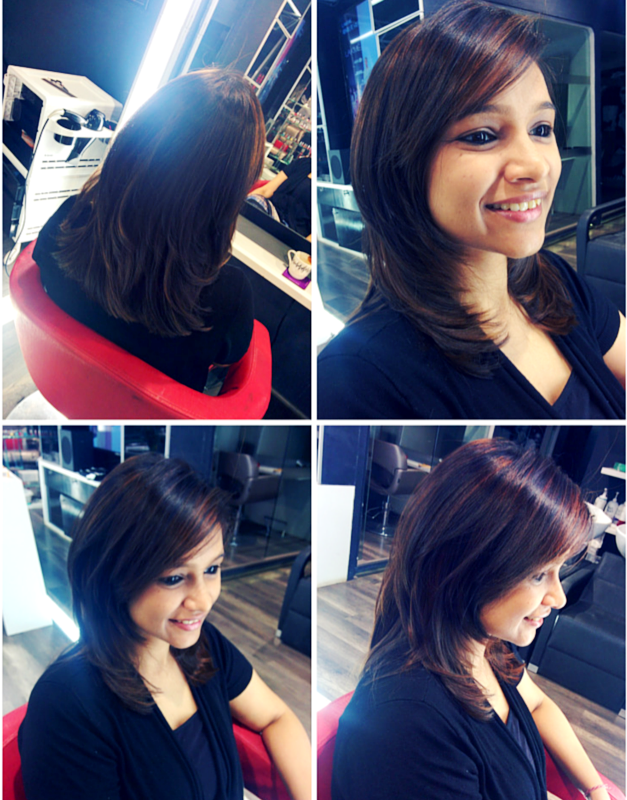 For the crown and in between the highlights, she used the Igora range from Schwarzkopf. She used a Dark Brown shade(5.0) which is similar to my original hair colour and is normally used for global colouring. I loved loved the result! Looks amazing isn't it! :) They've given me highlights under and over as you can see above. The result is a real close match to the image in the catalogue other than the fact that I chose not to go for the purple as it is a high maintenance colour. 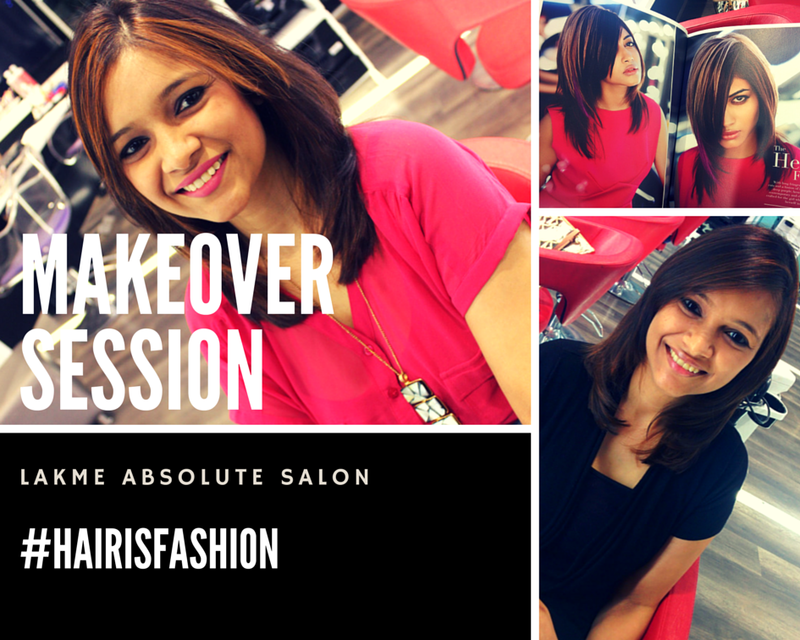 I know I am going back soon to the Lakme Absolute Salon for my hair requirements and I would recommend you guys to give it a try too. I am sure you will be as happy as I am! "Why do you think #HairIsFashion?" Looking forward to all the lovely entries! Keep them coming!